I’ve made a couple of acquisitions at the local toy flea market and I’d like to share them with you. 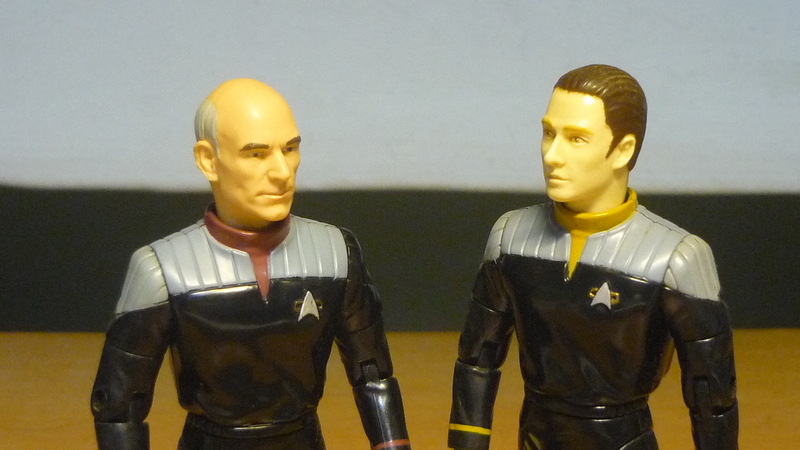 I’ve found Captain Jean-Luc Picard and Lieutenant Commander Data from “Star Trek: First Contact”. 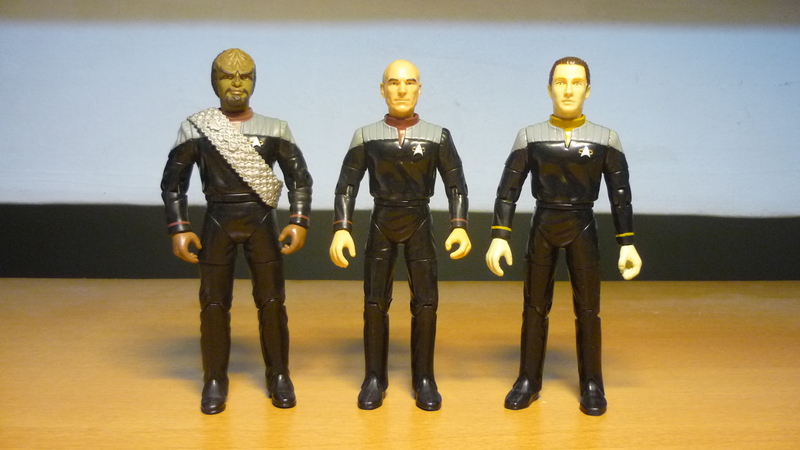 Here I have pictured them together with Lieutenant Commander Worf, which I had received some years back as a birthday present from my sister. 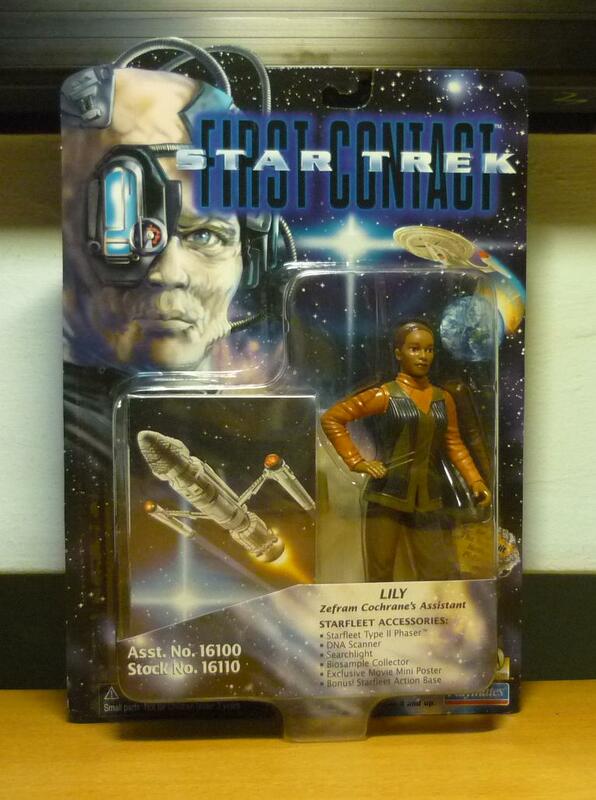 They are 6 inch figures released by Playmates Toys back in 1996. 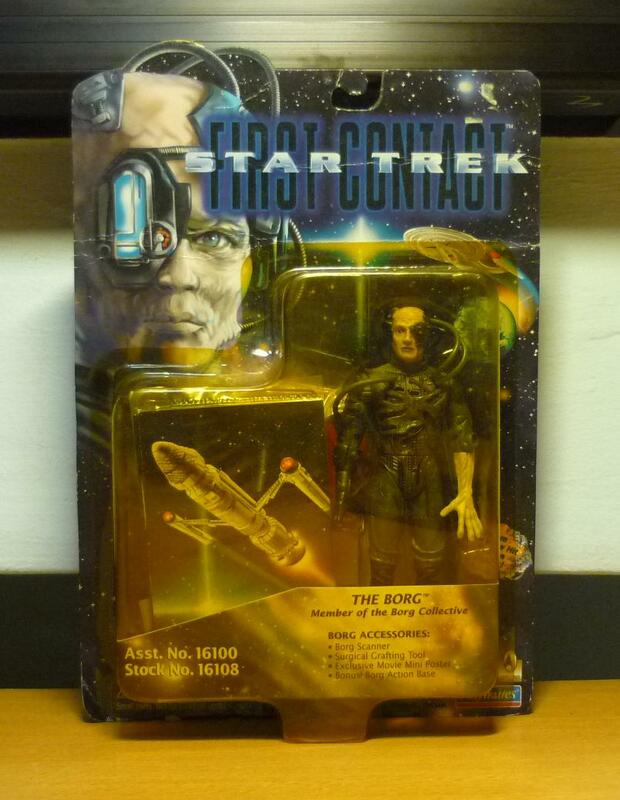 Star Trek: The Next Generation transitioned to the movie screens with “Star Trek Generations” in 1994, and “Star Trek: First Contact” was the second TNG film. ST:FC also marked the first appearance of the grey-top jacket Starfleet uniforms which the TNG crew will continue to wear in the two subsequent TNG films “Star Trek: Insurrection” (1998) and “Star Trek: Nemesis” (2002). The uniforms were also adopted on the Star Trek TV series which were airing at around the same time (Star Trek: Deep Space Nine, and on some episodes of Star Trek: Voyager). 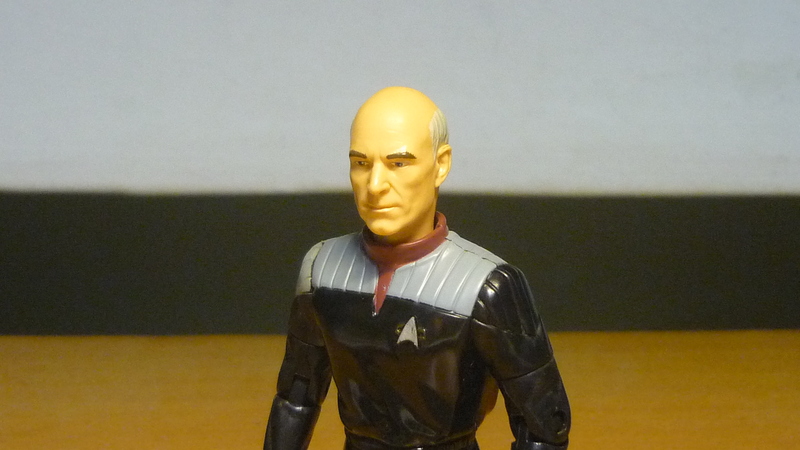 Hmm… the left shoulder of Picard’s uniform seems to have been left unpainted. The four TNG films are often criticised for following a somewhat predictable formula that totally differed from the TV series. There is usually an over-emphasis on Picard and Data in the storylines, resulting in a lack of further characterization for the other supporting characters. 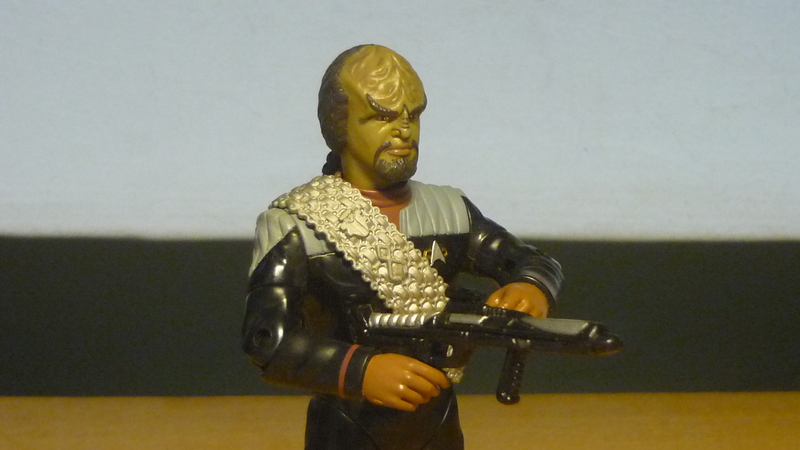 Picard is turned into an action hero in each film, and Worf is reduced to a comedic relief role.